Comment: We have very tiny brownish black ants that are in our house. Comment: I would like to get an estimate for rodent problem- larger animals coming inside of the home in attic, very nosy, need to get this taken care of asap. Comment: We can hear one or more animals running around in our attic at night. From the sounds, they are clearly bigger than mice. Need someone to come out and remove them. Comment: Clearly have evidence of mice - even after cleaning all closets, cabinets, etc. Louisville Pest Control Services are rated 4.63 out of 5 based on 1,648 reviews of 13 pros. 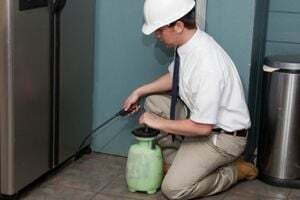 Not Looking for Pest Control Contractors in Louisville, CO?